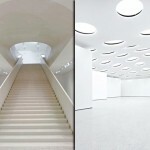 This museum, which is located in Frankfurt am Main, Germany, was recently reopened with a fresh and vivid modern design. 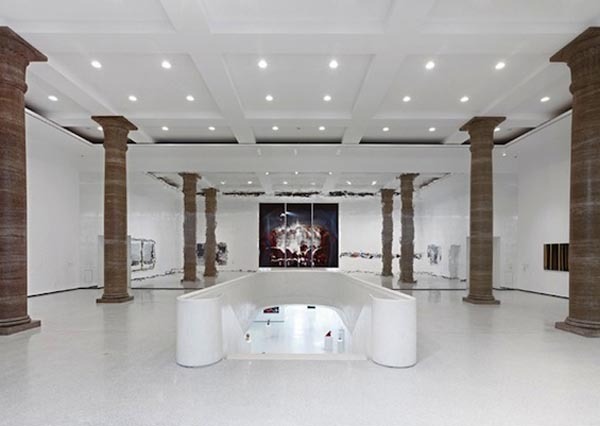 It features extensive underground galleries, which by itself are considered works of art. 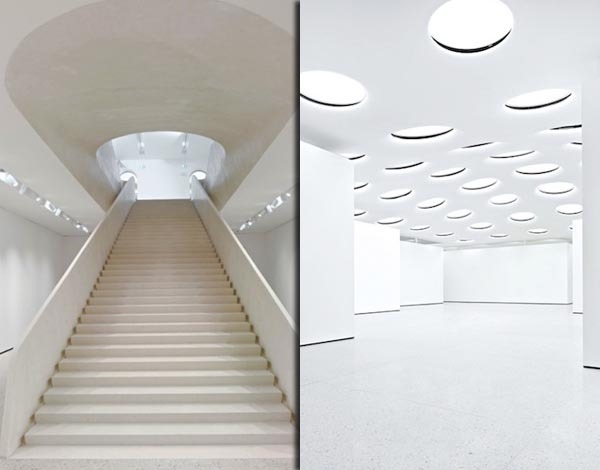 Musee Stadel, an official name of the building has recently presented a new underground pavilion, featuring new futuristic divinely white interior design. 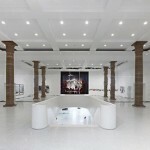 The opening of the underground hall has been completed just recently. The design of this extension was made by architect studio “Schneider Schumacher” . 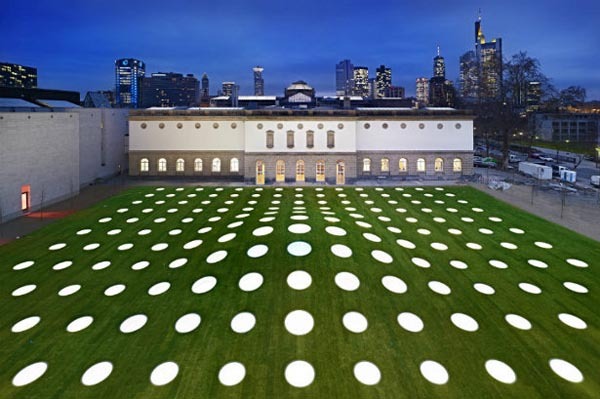 The famous 200 year old Stadel Museum looks renovated and refreshed. 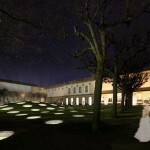 The uniqueness of this construction is in the 200 illumination white windows that connect the underground with the exterior lawn. 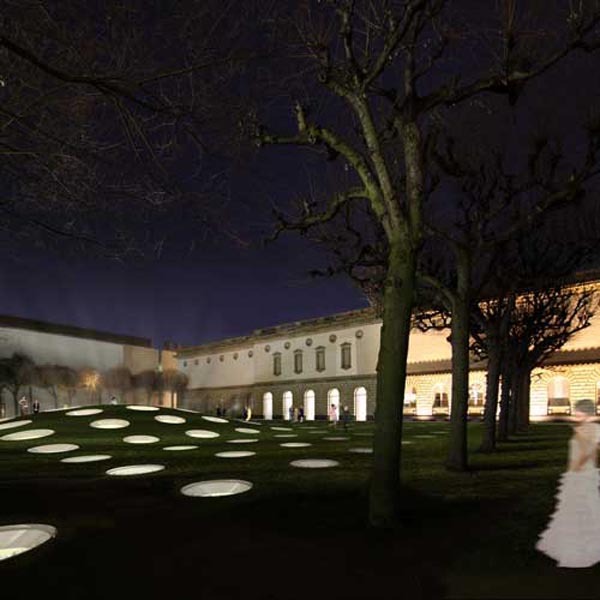 The little round brilliant white windows become lamps by night. 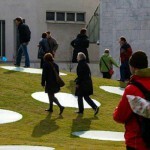 They decorate the lush green lawn before the museum. It looks refreshing to have this shining beauty just near the two century old historical building. But, the secret is yet to be unveiled. The illuminators are really serving its purpose in linking the two dimensions of the museum. Underneath the green lawn there is a brand new, fluorescent white exhibition hall. 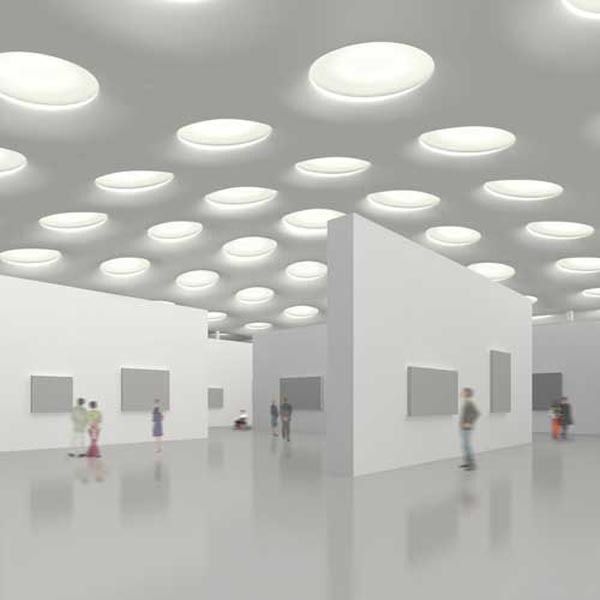 The extensive underground gallery is yet not filled with the exhibitions, but is soon to be. The idea behind the whole concept of the underground extension was in building extra space for the museum. Lack of space does move to greater achievements and new ideas. 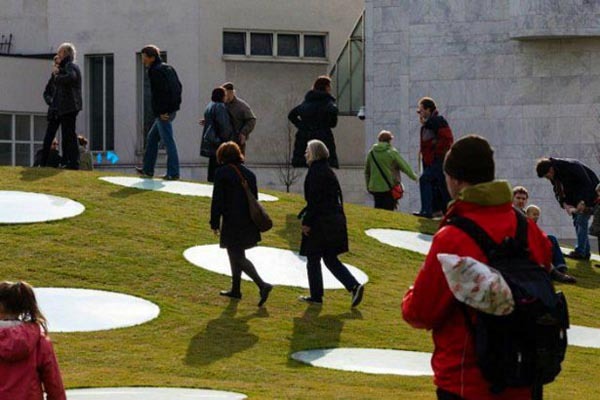 Opened only few month ago, this amazing refreshed Museum also is environmentally sound, as it features one of the prominent eco ideas: green roofing.